I believe that each person is the expert in their own experience, and that everyone has what they need inside themselves to experience fullness and freedom in this life, right now. I believe all people and all communities should have healing arts and traditions available to them which which are appropriate, accessible, and transformative for them. My name is Patty Adams. I have worked for more than twenty years with a variety of communities throughout the US and the Americas, in solidarity with and as an accomplice to the searches and struggles within those communities for justice and the transformation of their realities. 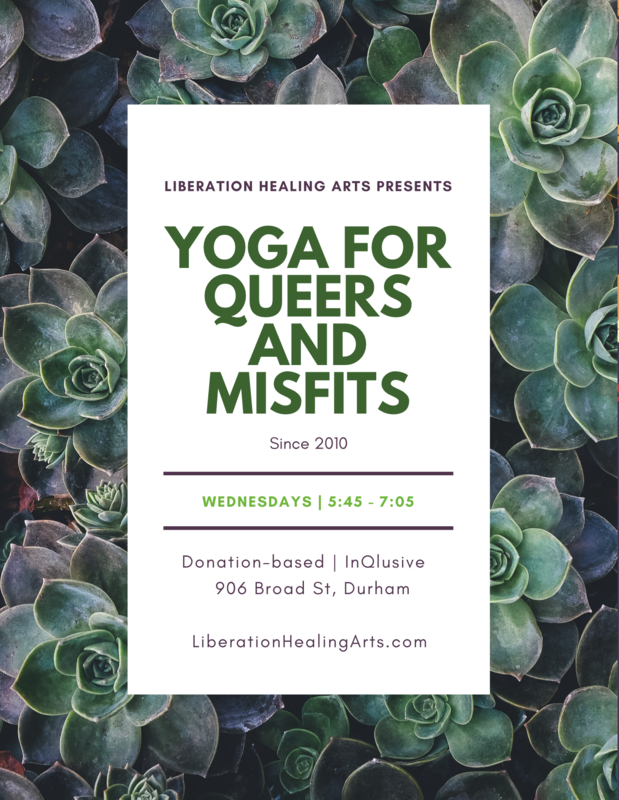 As a community healing artist combining the wisdom streams of intersectional anti-racist/anti-oppression/collective liberation work with yoga, trauma stewardship/trauma healing, and self-care/sustainability. Through my work for global justice and conflict transformation, I have seen the impact that trauma and accumulated disease (dis-ease!) can have on the holistic health and well-being of individuals, communities, and societies. Inspired by a desire to contribute to the longevity of communities and movements, I sought further training in a variety of techniques for the transformation of pain and trauma on the physical and emotional levels. I continue to offer yoga as a powerful tool for self-healing and also offer bodywork as a way of facilitating the healing of all types of illness and pain, to assist all people in enjoying a profound quality of life and renewed vitality. I have pursued training in Norad Boran (Traditional Thai Massage) in both the United States and in Thailand and have offered this therapeutic healing art throughout the Americas. I have also practiced yoga for nearly 15 years and taught for more than 12. I have primarily trained in the Anusara© style of yoga and have completed over 500 credit-hours including Immersions, Teacher Trainings, and practice hours. I am eternally grateful to all my teachers for their devotion to the Teachings, their faith in me, and their endless love and selfless service. The Universe has blessed me many incredible teachers, especially the many practitioners who have honored me with their presence in my classes and taught me so much: incarcerated gang members in El Salvador; women survivors of violence in Nicaragua; yoga lovers in Bogotá, Colombia; queer folks in and around Durham,NC; and healing artists, advocates/activists/organizers/rebels/revolutionaries and cultural workers the world over. Click here to learn about my clinical social work (psychotherapy) practice. Follow these links to learn more about the Thai Bodywork and Yoga Classes that I offer.